Special Interest Hosts are responsible for the smooth running of the Special Interest Programme, ensuring that customers have an enjoyable and informative holiday. Hosts must possess a professional approach in order to maintain and reflect a high standard of service and customer care as set out by the company and will comply with and implement procedures as laid down by Head Office and the Operational Manual. Saga operates a small selection of garden-themed holidays in the UK, Madeira and Cyprus. Our Gardens Hosts must hold an appropriate qualification and have previous experience working in the travel and tourism industry hosting Garden Themed Holidays. You must enjoy working with the general public and have the ability to impart your knowledge in a way that will suit your audience. On most assignments, our Special Interest Hosts are working alongside a Holiday Host or Tour Manager and the assignments maybe up to 8 days in duration. Prepare and deliver welcome meetings in conjunction with the Hotel Host or Tour Manager. Attend a welcome reception in conjunction with the Host or Tour Manager. Conduct a minimum of 2 lectures on relevant topics. Assist with the meet and greet of customers on arrival. Accompany Excursions and provide commentary en route and on location if a local guide is not provided. Assist where necessary in developing the relevant holiday itinerary. Liaise and work closely with the Host or Tour Manager. Ensure the Special Interest Programme runs as advertised in the brochure and detailed in the customer itinerary. Reconnaissance of new Special Interest Programmes. Report writing (liaising with Head Office on issues that may arise). £75 per day including Travel and Full board accommodation. Employment terms - Employment will only be offered on a Self Employed contract and payment will be made on receipt of an invoice. Full board accommodation will be provided during the assignment. 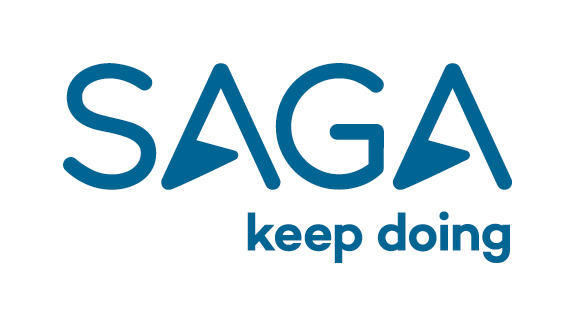 Saga Holidays Ltd will be responsible for all arrangements and costs for travel between the United Kingdom and the resort/hotel. Any travel from home to the airport/assignment will be via public transportation. A float for all company expenses such as communication costs, entrance fees, prizes etc, where necessary, will be issued. An expense claim must be completed with full details of expenditure and receipts at the end of each assignment and sent to Head Office. The Company has a strict no smoking or drinking policy for all staff whilst they are representing the Company.